Ok everyone knows we got the kittens back in September, and they quickly became our babies! It has been mentioned that I am somewhat BIASED in my affection of the kitties, that I cater much more to Julio than I do to Lil Bit, but I have to disagree with that. After all, Lil Bit was the kitten I chose, Julio was Marissa's choice. Lil Bit was my prize scrapbook subject. I could take picture after picture of her and the flash never woke her up or seemed to annoy her. (That's how we ended up bringing home TWO kitties, by the way, she was destined to be the subject of many scrapbook layouts) But Julio, poor Julio.....well, he just ain't right. Poor fellow, he is sweet, but he is one taco short of a combination plate. A few bricks shy of a load. Not the sharpest tool in the shed. He needs me. And he is much more affectionate than his sister, although since their surgery they have both been more loving. This worries me...if Julio gets much more affectionate he will SMOTHER me during the night. He already sleeps on my head! Anyway, last night after Marissa and Julio took their shower (he gets in the tub remember?) she brought him out and showed us that she had taught him.....are you ready for this??? She taught him to drink from a baby bottle. I grabbed my camera and got some cute shots of him and his sister happily lapping up water from a plastic doll bottle. If you look closely you can see a little bit of pink tongue on the bottle. Julio tries to hold the bottle. Lil Bit is content to let Marissa do the work! How funny is this?????? By the way, Julio is in the first picture and Lil Bit is in the second one. I guess I should have reversed those to prohibit appearing like I am showing favoritism huh???? Ok, we are thinking about Spring Break. Our plan was to go to our nation's capitol until a quick internet search revealed that our Spring Break is also the Cherry Blossom Festival in DC. While it would be beautiful, I am thinking it would be CROWDED and my clan is completely crowd-o-phobic. Next choice....St. Louis MO. The arch, the zoo, taking a ride down the Mississippi river on a paddle boat ala Tom Sawyer....sounds great to me! Then comes in San Francisco...Jamie and I spent 4 days there last August and it was wonderful! My thought on that is that we should wait until the unbearable heat hits here this summer, then go to San Francisco. Last year when we went it was 110 here with a heat index of 119. It never got over 60 the whole time we were in san Francisco. Ah.....heavenly..... and lastly, St. Augustine and Jacksonville. The zoo is so nice, and the beaches at Anastasia Island are so pretty. Plus...scrapbook shopping galore! So what do you think? Where should we go? Got any other ideas? Let me know! There is nothing that makes me feel as stupid or as inadequate as a mother than 5th grade math. I mean really, all kidding aside, this stuff is HARD! Jamie had to run to WalMart last night to buy a protractor for the child. I don't even know how to use one of those. (Looks like a ruler in bad need of a chiropractor to me!) We are dealing with obtuse and right angles, planes, line segments, and all other sorts of things that just freak me out and make my brain completely go into spasms. My eye twitches. My tummy flutters. And then I say....."Go ask your Daddy!" Bad thing is, most of the time Daddy can't get it either. This is when the REAL humiliation starts.....I have to call my niece in Baton Rouge. It's sad. I have to call a 21 year old senior at LSU who is entering medical school in just a few months for help with 5th grade math! It is so embarrassing. But, I have to brag on my niece....she always says it is no problem and she never makes me feel dumb at all. She just says "It's ok MiMi, you just haven't done this in a while!" and then she tells me to call anytime Riss needs help. What a sweetheart. I hope I do half as good a job raising Riss as my sister did with her girls! They are both amazing, and it is hard to believe they are almost 22. I remember the day I found out that I was going to be an aunt, then the day I found out I would be an aunt to twins, and then the day our girls entered the world. Such beautiful girls, I have always been so proud of them. What an honor to be their aunt! Now...back to the math.... 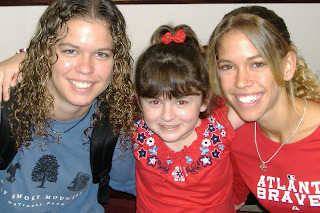 Here is an easy equation for you.....2 fabulous nieces + 1 amazing daughter = one blessed ME! Anyway, thanks to everyone who voted. That was a lot of fun! I will post more layouts later on this week. Maybe we can poll again huh? Have a great day!!!! WOO HOO! My hubby is coming home today!!!! I am so excited! 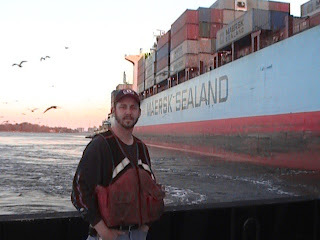 See, he works on tugboats up and down the Savannah River and he is gone 7 days and nights, then he is home for 7 days and nights. On those 7 days home, he works at Delta Air Lines. Needless to say, we don't see each other a whole lot. Lately, he has had to work for Delta out of town so when he is home, he isn't, Does that make sense? Basically he jets up to Virginia and works, then comes home on Thursday night in time to leave for the boat Friday morning. Yikes. We were craving some family time BADLY so his last week "home" I rented a cabin in South Carolina and we drove up there for a weekend of relaxation and fun. The only problem is, the time went by too fast and we did not really get much of a chance to relax because we were having too much fun fishing, shopping for scrapbook stuff, going out on the boat, shopping for scrapbook supplies, making s'mores, shopping for scrapbook supplies....ok you get it. I am sure it is pretty much the same for all of us right? When you come home from vacation you need a vacation????? Well, this weekend.........WE ARE HIBERNATING! That's right, after burning the candle at both ends for almost 6 weeks straight we are officially ON HIATUS. Jamie has a safety meeting at work this morning, in fact that is where he is right now, but when he gets home today, it is ON baby! We are taking a total vacation at home. We have no plans, no schedule, nothing even on the calendar. We plan to watch movies, order pizza, play board games and just spend time together as a family. It is supposed to rain all weekend, so it looks like a great time to do this! Brenda says we need to pull our vehicles into the back yard and hide. :) I kinda like that! So.....pray for us to get some much needed rest and to sort of regroup this weekend. We need to reconnect. Marissa has missed her Daddy and I have too! Hopefully we can sort of recuperate and get ready to put it in high gear again next week, as my Mom likes to say! One of the main reasons for this blog is so I can post scrapbook layouts for everyone to see. I am not very good at taking the pictures but I am learning! I am planning to post several layouts at a time. I would love your feedback and input and comments about each page. Hope you enjoy! The first page is about the Tybee lighthouse. I took that picture in January of this year when we stayed at our friend's condo for the weekend. I really lucked up with this shot! I live how the lighthouse is reflected in the water. Layout #2 is about Marissa at Tallulah Gorge. The pictures were made just before Thanksgiving of last year when we stayed at Apple Mountain Resort in North GA with my in-laws. Layout #3 is about My Beloved Jamie. One of the dearest things about him is his laugh. It is honest, deep and true. I just had to devote a layout to it! The picture was made at The Pirate's House in January of this year, when we celebrated his birthday....just the two of us! The last layout is the only one with a not-so-current picture. I loved this paper with the cool numbers, so I used it with one of my all time fave pics of Marissa, New Year's Eve 2004. Love her excitement!!!! You know, just when you think you have people figured out, something new pops up and totally slaps you in the face. You know what I mean? I mean seriously, I have always tried to give people the benefit of the doubt, but every once in a while I am just shocked at the audacity of people! Ok so it goes like this.....last night I got together with a big group of pals at a chain restaurant in Savannah. I won't say the name, but it is that steakhouse over by Olive Garden....with the neon trim around the building....and all the peanuts on the floor..... Anyway, we waited nearly an hour for a table (big kudos to Debbie for getting there early and getting us a seat or we would have never gotten seated!) and then our waiter appeared and took our order. He brought our drinks and we proceeded to order. He was new, he said, so he could not answer any of our questions about the menu. I mean really, he seriously did not know if anything pork came on the salad that April ordered. This matters right? She is JEWISH for crying out loud! Anyway, the food took an hour to come to us and then it was cold. Our stellar waiter had not refilled our drinks. The children were antsy but SO INCREDIBLY well behaved, all things considered. We never did get drink refillls, Amanda's shrimp were RAW, and we never got all of our side items. My hero Marty got up and grabbed a pitcher to refill our drinks and can you believe a "manager" lady got up in his face and confronted him about that? Then she proceeded to ARGUE with him about it! Sheesh!~ Train your staff and we won't have this problem! So then we tried to talk to her about everything we were missing and what was wrong, and she actually told April to be quiet. Can you freaking believe this??? THE "MANAGER" TOLD A CUSTOMER TO BE QUIET!!!! Finally, she started taking stuff off our bills but when it was April's turn she refused to take anything off of April's bill even though we ALL waited over an hour for our food and April's child NEVER got her food. Finally, she took off one kid's meal but come on...their bill was still over $50!!!!! We even had one waiter insult several of us when we tried to make jokes with him while waiting for our food. What a joke this place is! Now keep in mind that this was a military payday weekend, the day after Valentine's Day, when so many of our soldiers are home on R&R and this is how we got treated? (So why was a new waiter working anyway?) This restaurant needs to bear in mind that all 3 of the men at our table are military and it takes just 5 complaints to the powers that be to make a restaurant off limits to it's personnel. Hmmm.....time for anyone to speak up????? One of the excuses I was given by the "manager" was that the kitchen was overwhelmed by big parties and was doing the best it could. Ok, excuse me...... I have worked as a server for 17 years. When that happens, usually the management starts comping some salads, being sure the customers have extra bread, sometimes sends out comped appetizers, whatever it take to keep the customers HAPPY and SATISFIED until the food arrives. But not this place! The real kicker comes today. I found out while we were inside someone siphoned the gas out of Amanda's car. How crappy is that? Basically, we got screwed over and abused INSIDE and OUTSIDE the restaurant! My advice to you all is that when you want a steak, go to Longhorn or Outback or Texas Roadhouse or anyplace except this place!!!!!!!!!!! Ok this is really scary. My ten year old is in a very serious love affair with my pal April's son Lucas. They are soooooo cute together! Since yesterday was Valentine's Day, April organized a FAB dinner outing for us and Amanda and Brenda aka Gertie Mae. I say organized, actually it was just a happy coincidence that all of the women were manless and available for dinner with spur of the moment notice! We went to Jalapeno's...yummy to eat, heartburn to deal with later, and the cutest thing was Lucas and Marissa sharing a plate of fajitas. HOW SWEET IS THAT????? After we ate we came back to my house and the kids swapped presents. Marissa gave Lucas a basket with candy and a silk rose in it, a picture of herself, and a miniature version of her Special Bear, which was so important because when Special Bear got lost, Lucas was the knight in shining armor who found it. Now, Lucas has a mini Special Bear which they named "SBJ"....Special Bear Junior. And the kicker is...........April told me today he slept with SBJ last night! How hard does that rock???? Now, here it is Friday night, and Lucas' Dad called to ask if Marissa could join him and the kids for dinner at the Chinese restaurant tonight. GEEZ! A date two nights in a row? I just don't know about this! 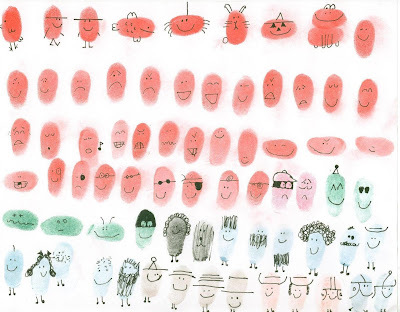 Marissa has been fascinated by thumbprint drawings ever since she discovered " Ed Emberley's Great Thumbprint Drawing Book" She can grab that book, some paper, an ink pad and a black pen and be entertained for hours! She made me the cutest little card last night, with a girl thumprint person singing (that was me) and a boy thumbprint lifting weights (that was Daddy). Then she made a thumbprint heart and added an arrow. It was just precious! Well, Jamie has been working sooooo much lately and we have not had ANY time together as a family. We planned a get away trip to a state park in South Carolina for last weekend, and it was fabulous! We rented a cabin, which was actually more like a villa than a rustic cabin....and we did all of the things we wanted to do. For me, there was scrapbook shopping in Greenville, and for Marissa and Jamie there was fishing. We rented a boat and went out on Lake Jocassee and it was beautiful. The water was so clear. We pulled up into some little coves and got off the boat and explored. Marissa even learned to drive the boat! Then the weather started getting rough, the tiny ship was tossed......sorry about that.....anyway, the weather did get rough as a windstorm came up so we headed back to shore and Jamie handled that just beautifully. I should have known right? 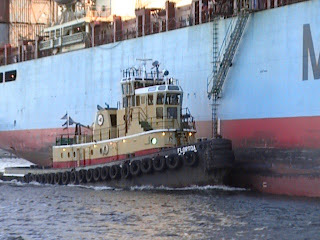 Ex Navy, licensed by the Coast Guard, works on Tug Boats.....how could I have doubted his abilities as our captain? Back at the cabin, we grilled chicken for dinner, made s'mores over our fireplace, played board games, scrapbooked, and watched a little TV. We took some side trips and went to the highest waterfall in SC and a really cool place called "The World of Energy" by Duke Power plant which showed how electricity is harnessed from water, coal and nuclear sources. It was really neat! Lots of hands on exhibits and learning stations made the trip both fun and educational for us all. It was a wonderful getaway weekend, and it gave us a chance to reconnect as a family. The only problem was, it ended too quickly!